Patients with psoriasis who were treated with apremilast at any time between Match 1, 2016, and April 24, 2018, were evaluated. Forty-eight patients total were enrolled in the study. Overall, 35.41% (17 of 48) of the participants continued receiving apremilast at the conclusion of the study, with treatment duration ranging from 130 to 627 days. In the current study, the remaining 64.58% (31 of 48) of patients who discontinued therapy did so after an average of 169 days and a median 144 days of treatment. None of the patients were lost to follow-up. The mean drug survival duration was 313 days (95% CI, 247-378 days), and the median drug survival was 200 days. 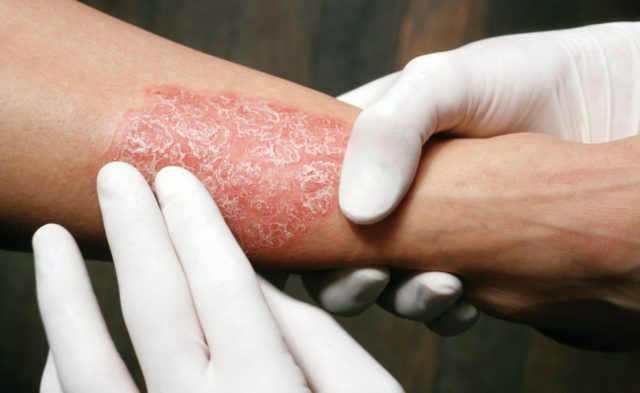 The investigators concluded that the results of this study and the comparator studies cited strongly support the need for future studies of apremilast to better understand the appropriate usage of this agent for the treatment of psoriasis. Fougerousse AC, Parier J, Bastien M, et al. Expérience de l’aprémilast en « vraie vie ». Ann Dermatol Venereol. 2017;144:S105. Cattan R, Bachelerie M, Biard B, Manard S, D’Incan M. L’Otezla® dans la « vraie vie » : attention aux « idées noires » et aux hépatites. Ann Dermatol Venereol. 2017;144:S215. Ighani A. Georgakopoulos JR, Shear NH, Walsh S, Yeung J. Short-term reasons for withdrawal and adverse events associated with apremilast therapy for psoriasis in real-world practice compared with in clinical trials: a multicenter retrospective study. J Am Acad Dermatol. 2018;78(4):801-803.